AMES, Iowa – An Iowa State University expert on agricultural entrepreneurship told members of the U.S. House of Representatives on Thursday that expanded and more varied funding sources and earlier exposure to entrepreneurship in Iowa schools can create new opportunities for advances in agricultural technology. 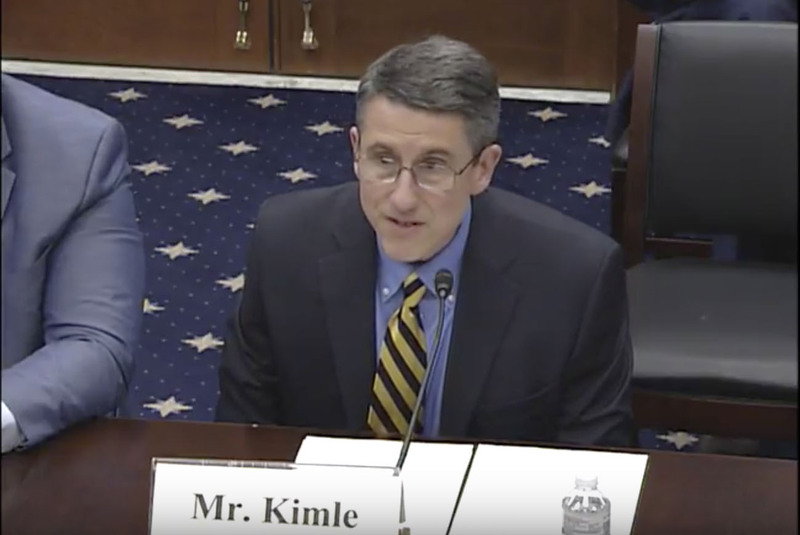 Kevin Kimle, the Rastetter Chair of Agricultural Entrepreneurship, a senior lecturer in economics and the director of the ISU Agricultural Entrepreneurship Initiative, testified before the House Small Business Subcommittee on Agriculture, Energy and Trade. He pointed out the percentage of venture capital dollars available last year to the Midwest lagged far behind what it should be based on the population of the region. Kimle said additional sources of venture capital, especially from sources based in Iowa, as well as other funding resources would bolster the state’s climate for ag startups. He also said increasing exposure of Iowa students to entrepreneurship in college and high school could pay dividends in the future as well. He highlighted a course he teaches at Iowa State that requires students to develop three concepts for ag startup businesses over the course of a semester and then deliver a presentation on the concept with the most potential. Kimle said Iowa’s rural communities would benefit from such investments due to the resultant advances in agriculture technology as well as from the possibility of new startups locating in rural communities. “Rural communities should be able to participate in various ways, and that’s going to make for a better, more prosperous rural America,” he said following the hearing. Two members of Iowa’s congressional delegation took part in the hearing. Rep. Rod Blum of Iowa’s 1st district serves as the subcommittee’s chairman, and Rep. Steve King of Iowa’s 4th district sits on the panel as well. Kimle’s full testimony as well as video footage of the hearing are available on the House Small Business Committee’s website here. An ISU agricultural entrepreneurship expert testified before a congressional subcommittee on Thursday about how to strengthen Iowa’s ag-tech startup ecosystem. Kevin Kimle said expanded and more varied funding as well as earlier exposure to entrepreneurship in schools can play key roles in improving rural America.